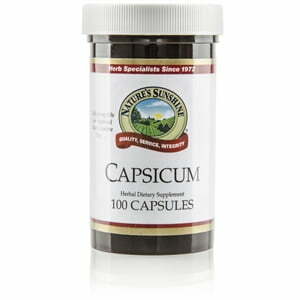 Used in other herbal formulas as a catalyst, capsicum supports digestion and blood flow. The founder of Nature’s Sunshine, Gene Hughes, sold capsicum as his first product after using it to relieve stomach problems. 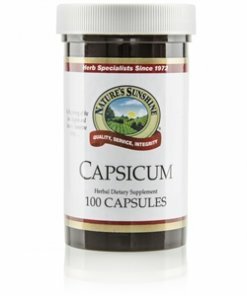 Nature’s Sunshine Capsicum, containing 35,000-40,000 Scoville Heat Units, comes in 520 mg capsules. Nature’s Sunshine Liquid Capsicum is naturally extracted from fine capsicum fruit and is 15 to 20 percent alcohol. Instructions: Take one capsule four times daily with food.